One Year Advanced Replacement Parts Warranty On All Hardware. Free Manufacturer Certified Technical Support For Your System. Free UPS Ground Shipping Anywhere In The Continental United States. 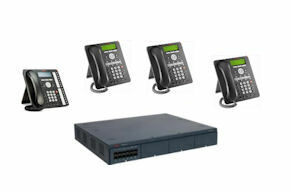 Turn-Key Avaya IP Office System Package Total shipped cost of this system package with technical support via our 800 number. An affordable and professional commercial grade solution for small business applications. Add up to 2 more 1400 Series Display Speakerphones To This Package: These phones feature a backlit LCD display, 8 or16-programmable buttons that can access features such as automatic dialing, voicemail messages, hold and transfer. Easy to read buttons also provide Handset/Headset volume control, message waiting light, speaker volume control, conference, transfer, intercom and more. Adjustable base stand allows the phone to be wall mounted. Includes tray mounted feature use guide. Add Nel Tech Labs Information / Music On Hold Unit: The Messager® MP3 is a state-of-the-art digital audio playback device designed to provide a continuous-play audio source for message-on-hold, background music or any other audio application where high-quality audio playback is required. Messages are stored on non-volatile removable flash media cards called Message Mates, and are available in capacities from the base 64-minutes to well over 8-hours of storage. 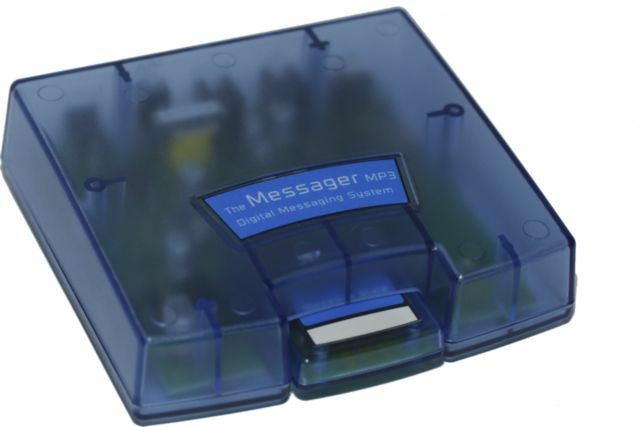 The Messager is capable of playback of MP3 files from 8Kbps all the way up to full CD-quality audio playback of 128Kbps/48KHz. TowerMax CO/4x4 Protection Module : Each MCO4X4-60module protects up to 4 central office phone lines from lightning and power surges. Lines connect easily using RJ11 or RJ24 connectors. Connect additional modules together as you grow. Works in conjunction with Towermax M4KSU AC Power Protection Unit (Below). Recommended for all Avaya Partner phone system installations. Must be grounded. TowerMax 4 KSU AC Protection Module : The M4KSU has 4 AC outlets and provides connection for phone system, voicemail system or paging system. Exclusive "SurgeGate Plus" circuitry protects against over voltages and under voltages. Unit actually disconnects equipment power if voltage becomes unsafe. Reconnects when clean power returns. 4 LED status lights show Line Fault, Ground OK, unsafe voltage and power protection ok. Recommended for all Avaya Partner phone system installations. Need a larger IP Office system? Call 800-231-8726. We Can Custom Build One For Your Business. *A technician will contact you within 24 hours for programming details. Equipment is shipped custom programmed to your specifications and includes all programming manuals (CD ROM), documentation, and instructions. Technical support and programming assistance is also available at no charge for 14 days from delivery date to insure your system is programmed and functioning properly. There is a 20% restocking fee for any system package that is returned with original packaging. There will be a 30% restocking fee for any equipment that has been used or does not have original packaging. Charges for Turn-Key programming and associated hardware are not refundable.